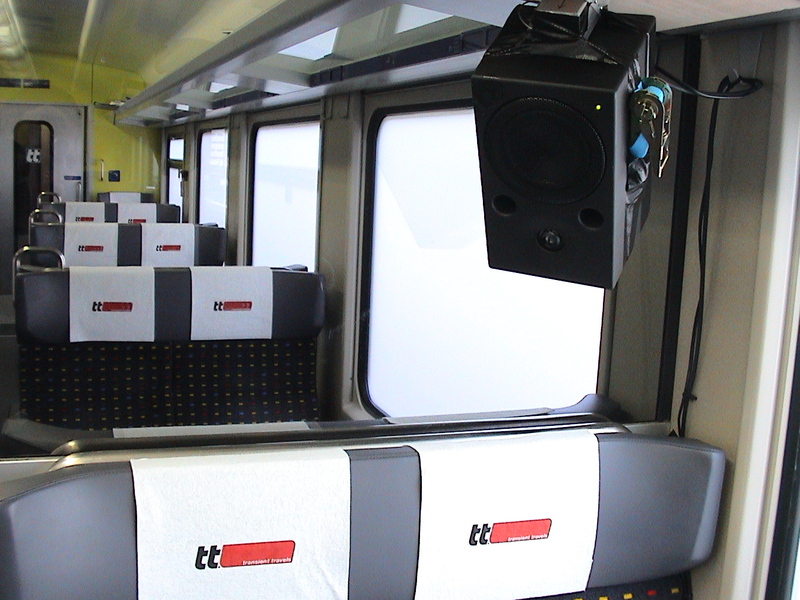 Transient Travels was a temporary travel agency which operated in a carriage of the Sound Train during the World New Music Days 2004 in Switzerland featuring a panorama of contemporary computer music. 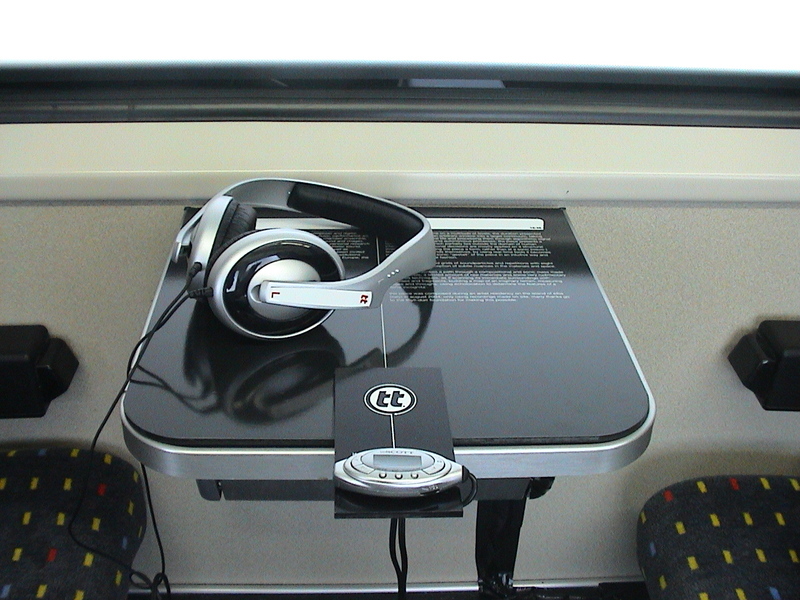 Travel agents Jan Schacher (alias Jasch) and Marcus Maeder were commissioned by the Swiss Arts Council Pro Helvetia and World New Music Days 2004 to assemble a team of artists to take Transient Travels’ passengers on journeys to various areas of digital music. 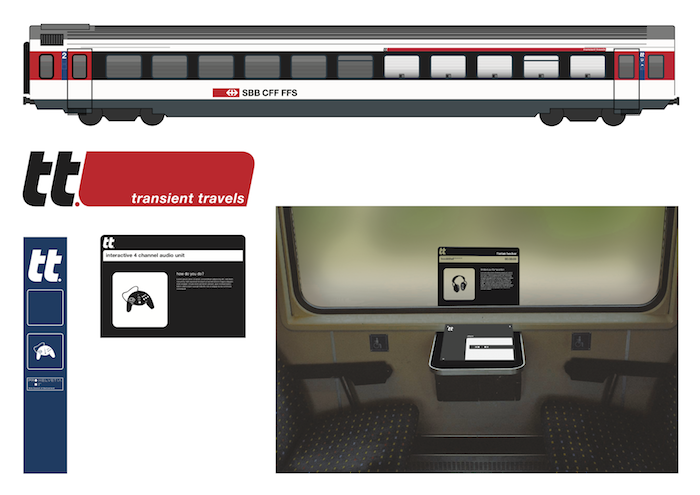 Six artists presented their individual interpretation of the term «sonic journey» at the listening stations in the carriage and Transient Travels’ interactive compartment. 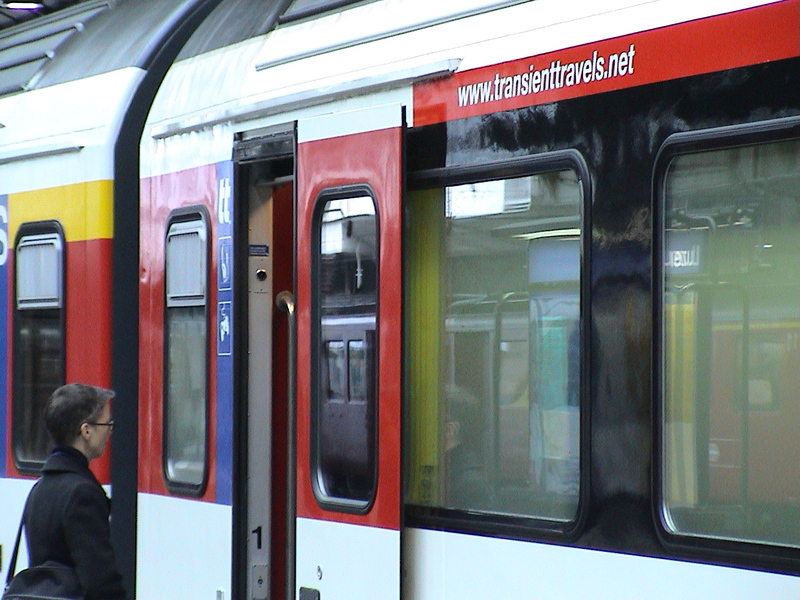 Transient Travels is part of «Gallerie 57/34.6 km», the cultural programme which is being organised by Pro Helvetia in connection with the tunnel construction sites at the Gotthard and Lötschberg. [...] In this context, there is a relatively ingenious contribution by Rolf Grossman in Soundcultures, Suhrkamp, and Spiegelbild, Spiegel, leerer Spiegel – Zur Mediensituation von Clicks & Cuts (Mirror image, mirror, empty mirror – On the media situation of clicks & cuts). 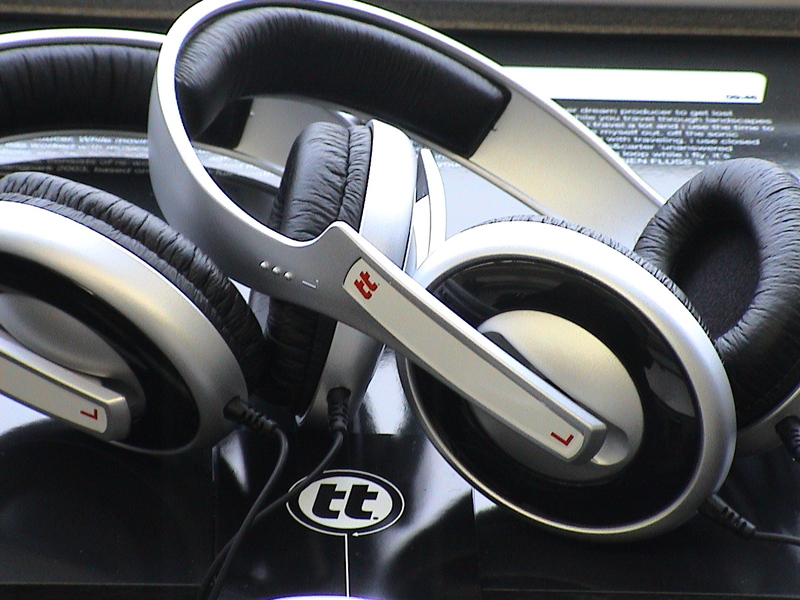 In it, the characteristic features of the aesthetics of digital music in particular with respect to computer music are analysed. 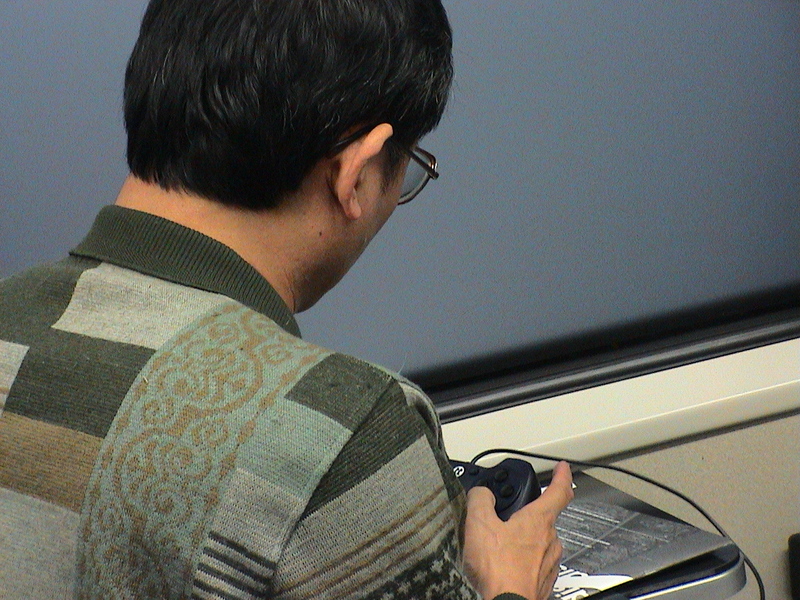 It is, of course, an obvious perception that essentially everything we do with the computer consists of simulations. Almost everything. And if not simulations, then at least floating on a flurry of symbols and metaphors. Functions which we know from the «analogue» world are simulated, and, when oversimplified, illustrate aesthetics and have nothing of their own other than the code, computability and indexing of their elements. That is arguable: I find that the use of this tool does indeed result in an individual aesthetic, only it has to be extracted from an intensely monopolised outer shell. A material aesthetic does not exist in the digital system. The functions or, more fundamentally, the conventions of operating systems and software remain discreetly in the background, and the visual interfaces are metaphors of usage. Exactly: we are moving on a symbolic surface, without which, however, we could not use our natural abilities such as intuition and imagination (as a means of survival) and would therefore be relatively helpless in the face of the machine. However, that does not mean that the current metaphors and symbols are only beneficial. On the contrary: they also serve as a corset on the train of thought. Even characteristics such as aliasing or the so-called «aesthetics of failure» are only a standard of interpretation by the computer. So what does digital music consist of? Not its materiality, but its contents and, above all, the association with the computer medium. If materiality is understood as the existence of the tool itself and physical association with it, then I agree up to the point at which the social component begins to emerge because in digital music there are also phenomena like currents in society which flow out of the contexts from which the musicians originate, meaning that DJs who begin to work with a laptop instead of turntables are fundamentally different from academic composers who use live electronics in their compositions. The understanding and intentions of these different styles of music are incomparable. Moreover, there is a socio-political element, which is to be seen from an economic point of view. (The tools are indeed products of the industry and have their price). The expression of digital media cannot be uncoupled from the industrial and economic productivity of the respective milieu. (There have been quite serious scientific analyses, media studies, gender studies etc. on this topic). Whether this be sampling or programming of individual codes, the point of departure for most musicians who make experimental digital music in the broadest sense is that the computer behaves less like a machine for recording quotations (symbolically: a tape recorder) than like one for reflecting reality. Not only that: The function of the mirror always plays a significant role, but I detect tendencies in the direction of inherency, i.e. the code itself as art, or strong references to media works which have the same basis (the history of video installations – for example naumann/nam june paik – is quoted diligently, modified and disassociated). A music piece generally is limited only by the fantasy of the composer and the audience (as well as storage capacity...): Working with the computer and digital music, based on sampling as with other algorithms, is associative; it is in the here and now and is non-linear compared with classical composition, for example. What once used to be somewhat complicated experimental arrangements for Cage can today be solved with a small random patch. However, that would all be unthinkable without Cage and Xenakis (imagine granular synthesis without stochastics: difficult). What does the model for transforming fragments of reality look like? In that sense, sampling seems to have propelled this principle into the next world.And that would then be, as it were, the superstructure for what we, by the same token, already intend to do. The ironic, interactive whatnot as well as the sound journeys. 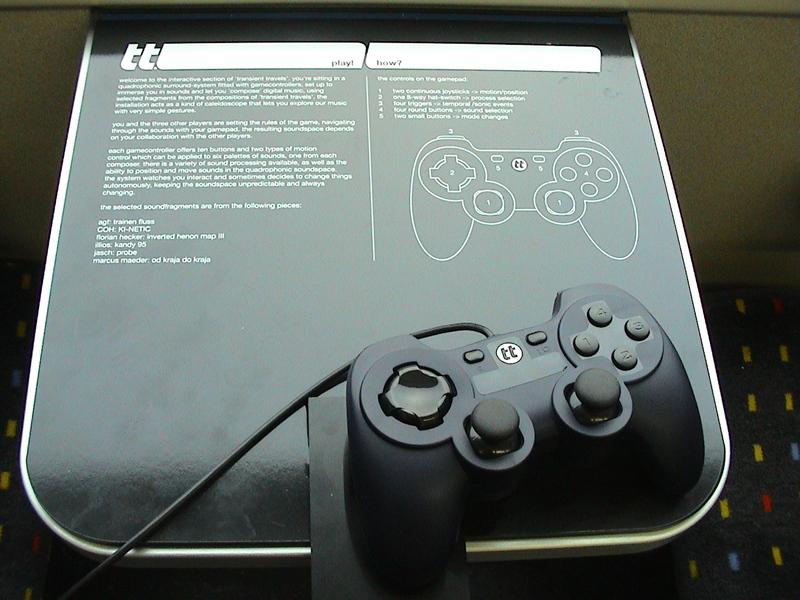 In the interactive train compartment, this playstation gamepad would then be very interesting and understandable. I agree if it undermines whatever was taken to be self-evidently known, and control cannot actually be exerted after all. What happens metaphorically with the sound journeys will happen in the installation, for example, spatially with a multi-channel speaker system – sonic fiction in the broadest sense. That's for sure: «sonic» and «spatial fiction». 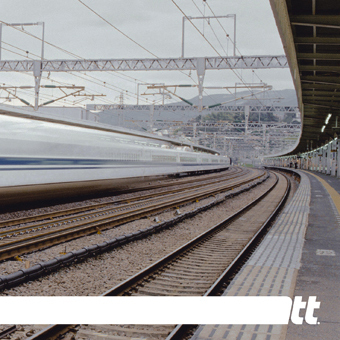 With sound journeys, this can also be called «mental acoustic fiction».